Copper Indian girl mending snow shoe. 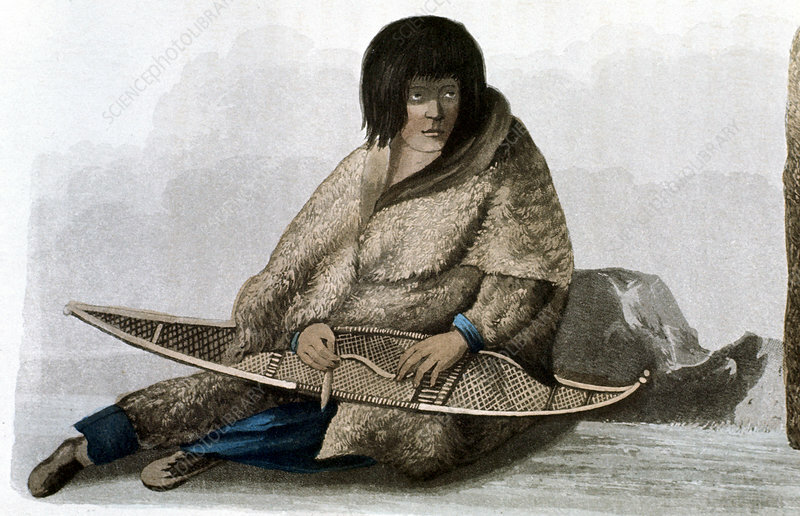 Coloured lithograph from John Franklin Narrative of a Journey to the Shores of the Polar Sea, London, 1823. Artist: John Franklin.